History – Professional Performance Development Group, Inc.
Professional Performance prides itself on the delivering only the highest quality services for our partners. The Customer’s mission is our mission from day one of the contract award. We work closely with the Contracting Officers, Contract Specialists, and Contract Officer Representatives (COR) towards a common goal. PPDG believes that profit is a by-product of the effective and efficient management our resources. More than just another contractor, we strive to become your “wingman”. 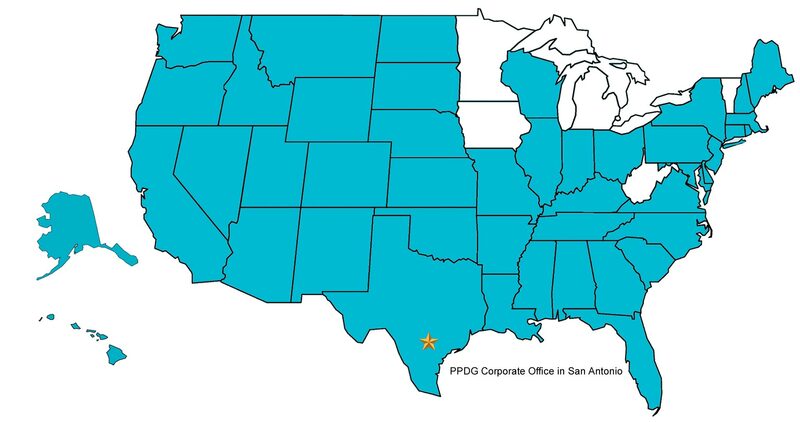 PPDG has worksites in 45 states, plus Germany, Belgium, Portugal, and Guam. Professional Performance Development Group has a reputation for high-quality services, integrity, and innovation. We’ve had over 34 years of stable growth and experience managing high-end contracts with an agility to address the changing environment while addressing the needs of our customers and employees.